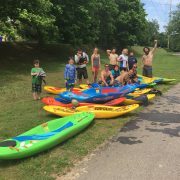 The middle Ocoee in Copper Hill, TN is one of the most classic class III runs in the whole country featuring continuous fun rapids, tons of playspots and an easy roadside shuttle. I have been kayaking the middle Ocoee since 1994, and have run it hundreds of times. I developed my love of hand paddling on the Ocoee and as soon as I had the first plastic bellyaks in 2012 I haven’t looked at my kayak again. 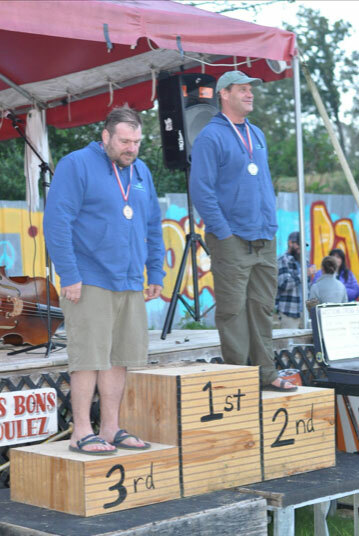 I first bellyaked the race in 2012 and raced in the hand paddle kayak category. Since then I’ve maintained my status as reigning champion of the prone division by putting down times that are about eight minutes slower on average than the elite men’s longboat division. All while laying down and using my hands. The race is simple: start at Grumpy’s and race the four miles to Powerhouse as fast as possible, with racers taking off one minute apart. I’ve raced the Frequency, the Play 35 and the Play 45. The fastest boat is the Frequency, and I race it with the skeg deployed, which makes the flatwater sections much easier to hammer down in. 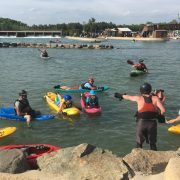 The skeg of the Frequency is designed to flip up if you hit an obstacle, and on the shallow riverbed of the Ocoee that is a must. There are several factors necessary to put down a good time: knowing your lines and endurance. You can’t peak too early and gas out in the flatwater halfway through, and if you take the wrong lines or get stuck in raft traffic, you waste too much energy. My familiarity with the run lets me know where the fast water is located, and I do my best to stay there. 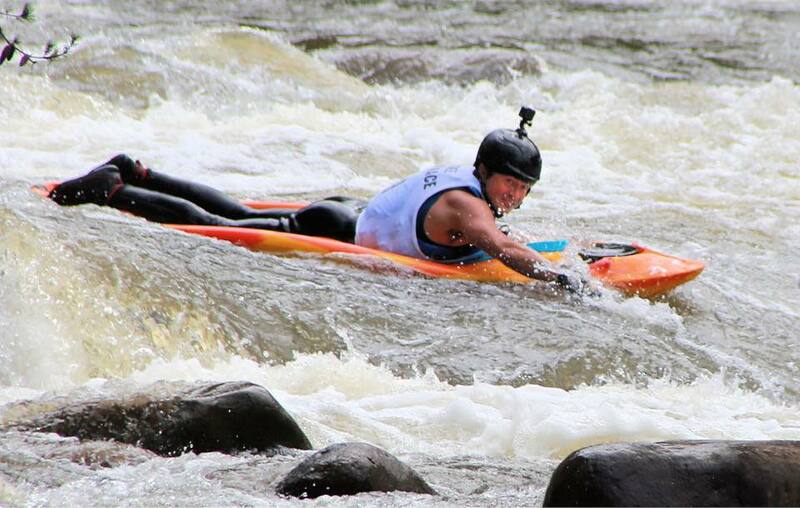 My strategy going into a race like this is to stay smooth through the rapids, with no errors, and hammer down out of one rapid into the next, and stay consistent in the flatwater sections. Ten seconds….5 seconds, 3, 2, 1 go! I analyze rapids for prone whitewater racing by looking at them backwards: figuring out where I need to be for the start of the following rapid and then planning my line to take me there with the least amount of effort. The key to proper Bellyaking is to let the water do all the work, with you providing timely and decisive input via efficient well timed strokes. I figured out if I improved my 100m time in training by one second, I would take a full minute off of my time. I did this by counting my strokes and maintaining a specific tempo the whole race. This year I had been practicing paddling the doldrums on my knees to In order to change up my muscle groups and to provide my body a break I paddled the flatwater sections on my knees. The skeg allows me to focus 110% of my efforts on paddling forward, eliminating even the smallest correction strokes. The awards were held later that evening, and I showed up late not realizing that Bellyak would go first (because of the alphabet). Props to Corey Topping coming in second, and Bill Wunderlich in third! 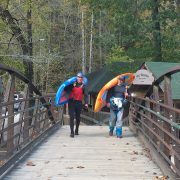 Thanks to the Tennessee Valley Canoe Club and all the volunteers who make the race happen. 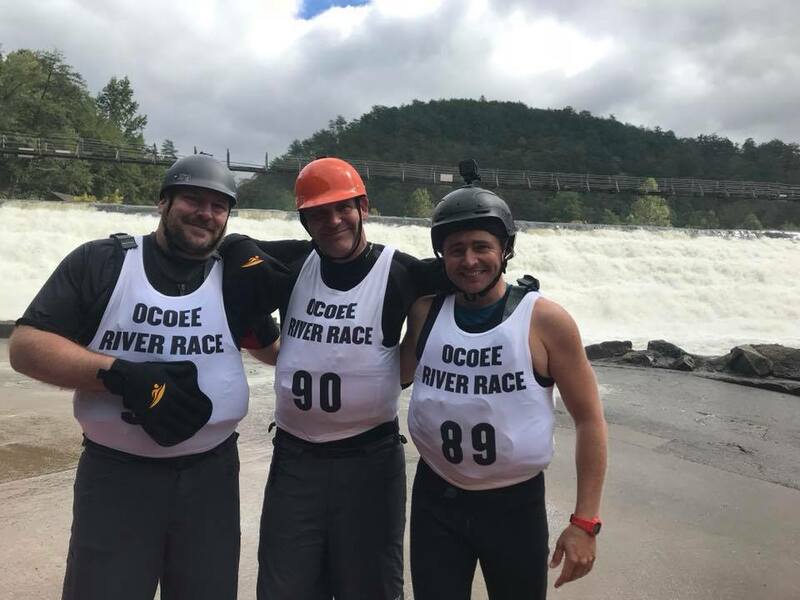 We love being a part of the Ocoee race and look forward to next year. For 2019 we are throwing down $500 for anyone who can beat me. 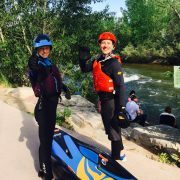 So any of you kayakers out there that know the river well, it’s time to step up! Cash Money! 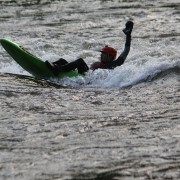 Check out more about of river and whitewater bellyaks here!